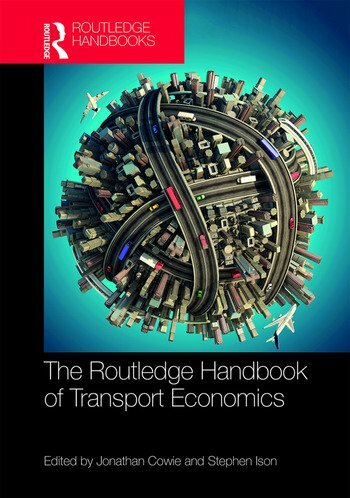 The Routledge Handbook of Transport Economics offers the first state of the art overview of the discipline of transport economics as it stands today, reflective of key research and policy. Transport is an important area of study and one which is problem rich, stimulating a great deal of debate in areas which impact on everyday lives. Much of this focuses on the practicalities of the modern-day phenomenon of mass movement and all of the issues which surround it. The discipline of economics is central to this debate, and consequently the study and application of transport economics has a chief role to play in seeking to address subjects relating to major transport issues. It can be argued that at the very heart of any transport issue or problem lies the underlying economics of the situation – understand that and you alleviate the problem. A real strength of the book is in linking theory to practice, and hence the ‘economics’ that are examined in this text are not the economics of the abstract, but rather the economics of everyday living. Practical and insightful, this volume is an essential reference for any student or researcher working in all areas of transport provision, ranging from planning, appraisal, regulation and freight; and for all practitioners looking to develop their professional knowledge and who are seeking professional accreditation. Jonathan Cowie is Lecturer in Transport Economics at Edinburgh Napier University, UK, and previously held lecturing posts at University College Scarborough and Glasgow Caledonian University. He is the author of The Economics of Transport published by Routledge in 2010, as well as the author of many conference and journal papers in his areas of research interest. Jonathan is a Fellow of the Higher Education Academy and a long-time member of the Scottish Economic Society. Stephen Ison is Professor of Transport Policy within the School of Civil and Building Engineering at Loughborough University, UK. He has published widely in the area of transport policy and economics and has edited, authored or co-authored eight books. He is a member of the Scientific Committee of the World Conference on Transport Research, editor of the Journal of Research on Transportation Business and Management and book series editor of Transport and Sustainability.